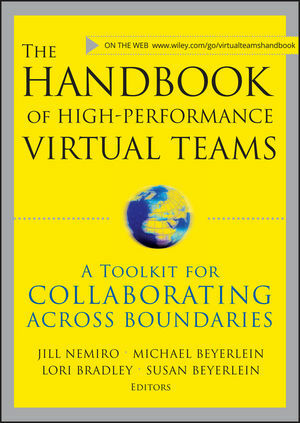 The Handbook of High-Performance Virtual Teams is an essential resource for leaders, virtual team members, and work group leaders. The editors provide a proven framework based on five principles for working collaboratively across boundaries of time, space, and culture. Written by experts in the field, the contributors offer practical suggestions and tools for virtual teams who need to assess their current level of effectiveness and develop strategies for improvement. This important resource also contains an array of illustrative cases as well as practical tools for designing, implementing, and maintaining effective virtual work. "Finally, the definitive user's guide for everyone who has ever managed a virtual team: clear, practical, concise, easy to read, and complete. It takes leading virtual teams to the next level by driving results through productivity and collaboration. A must-read for every professional who hopes to be a global manager in the twenty-first century." "This handbook is essential reading for anyone responsible for starting or making virtual teams more effective. It provides the information you need about structure, leadership, the importance of trust, crossing cultural barriers, and much more." William C. Byham, Ph.D., chairman and CEO, Development Dimensions International, Inc.
"Leaders, managers, and team members everywhere need to learn from the best how to cultivate high performance from virtual teams, and all the frameworks to do so are in this book, served up with the wisdom of the sages of virtual teams." Jill Nemiro is an associate professor in the Psychology and Sociology Department at California State Polytechnic University, Pomona, and an adjunct professor in the Human Resources Design Master's Program at Claremont Graduate University. She is the author of Creativity in Virtual Teams from Pfeiffer. Michael Beyerlein is head of the Department of Leadership and Supervision at Purdue University. He has authored or edited nineteen books including Guiding the Journey to Collaborative Work Systems. Lori Bradley is executive director of Organizational Effectiveness, Talent Management and Leadership Development for Wyeth, a Fortune 200 global pharmaceutical company. Susan Beyerlein is research associate with the Center for Collaborative Organizations at the University of North Texas. She is the co-editor of eleven previous books. Chapter 1: The Challenges of Virtual Teaming (Jill Nemiro, Lori Bradley, Michael Beyerlein, and Susan Beyerlein). SECTION I: PRINCIPLES OF HIGH PERFORMANCE VIRTUAL TEAMS. Chapter 2: A Framework for Working Across Boundaries (Michael Beyerlein, Jill Nemiro, and Susan Beyerlein). Chapter 3: Design Principles for Successful Virtual Teams (Gail Harwood). PART B: BUILD A COLLABORATIVE CULTURE. Chapter 4: The Three-Fold Path of Expanding Emotional Bandwidth in Virtual Teams (Trina Hoefling). Chapter 5: Getting Virtual Teams Right the First Time: Keys to successful collaboration in the virtual world (Linda Peters and Charles C. Manz). Chapter 6: Sensemaking to Create High Performing Virtual Teams (Gina Hinrichs, Jane Galloway Seiling and Jacqueline Stavros). Chapter 7: Trust Building Online: Virtual Collaboration and the Development of Trust (Chris Francovich, Michelle Reina, Dennis Reina and Christopher Dilts). Chapter 8: Transformational Leadership Attributes for Virtual Team Leaders (David Braga). Chapter 9: Going Beyond Leadership Style: When and How Do We Lead Change (Dina Mansour). Chapter 10: Leading Virtual Teams: Potential Problems and Simple Solutions (Thomas A. O'Neill, Rhys J. Lewis and Laura A. Hambley). SECTION II: DESIGNING HIGH PERFORMANCE VIRTUAL TEAMS. PART A: SETTING UP YOUR COLLABORATIVE TEAM. Chapter 11: Team Composition and Member Selection: Optimizing Teams for Virtual Collaboration (Kara Orvis and Steve Zaccaro). Chapter 12: Generational Differences in Virtual Teams (Emanuel Brady and Lori Bradley). 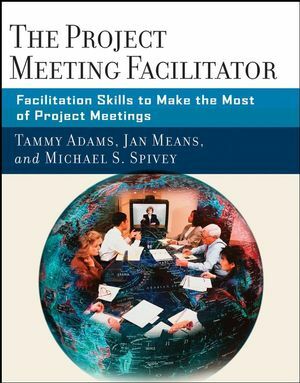 Chapter 13: Assessing Training Needs for Virtual Team Collaboration (Marilyn Wesner). Chapter 14: Design Concepts for Virtual Work Systems (Jodi H. Obradovich and Philip J. Smith). PART B: WORKING ON YOUR COLLABORATIVE TEAM. Chapter 15: The Technology That Supports Virtual Team Collaboration (Lori Bradley). Chapter 16: Training for Virtual Collaboration: Beyond Technology Competencies (Arie Baan and Martha Maznevski). Chapter 17: Combating Confusion: Virtual Teams that Cross Borders (Sue Freedman). Chapter 18: Problem Solving in Virtual Teams (David Braga, Steve Jones and Dennis Bowyer). Chapter 19: Correcting Chronic Decision-Making Problems Through Effective Collaboration (Mehran Ferdowsian). PART C: TOOLS AND ASSESSMENTS FOR COLLABORATION). Chapter 20: Tools for Effective Virtual Team Start-ups (Kimball Fisher). Chapter 21: Tools for Effective Virtual Team Meetings (Dipti Gupta, Lori Bradley, and Terence Yeoh). Chapter 22: ("Etiquette:" What Is the Etiquette of Virtual Teams? (Mal Conway, Jack Jennings, Curt Raschke, Mary Witort, and Michael Beyerlein). Chapter 23: Creativity Techniques for Virtual Teams (Jill Nemiro). Chapter 24: Using Assessments to Predict Successful Virtual Team Collaboration Performance (Scott Filgo, Scott Hines and Scott Hamilton). Chapter 25: Building the Business Case to Your Executives for Virtual Teams (Michael Beyerlein and Susan Beyerlein). Chapter 26: Virtual Teams in Medical Care Delivery: The Imperative of Teams in 21st Century Health Care (Steven K. Rothschild and Stan Lapidos). Chapter 27: Distributed Work: Using Data to Drive Business-Focused Decision Making (Anita Kamouri and Eric Richert). Chapter 28: Virtual Collaboration in a Matrix Organization (Amy Kates and Paul Erickson). Chapter 29: Knowledge Transfer and Learning on Virtual Design Teams (Jude). Chapter 30: Collaboration in the Real World: Virtual Team Key Take-Away Principles That Work (Michael Beyerlein, Lori Bradley, Jill Nemiro, and Sue Beyerlein). Chapter 31: Afterword-The Virtual, Networked Organization: How One Company Became Transparent (Jeffrey Stamps and Jessica Lipnack).